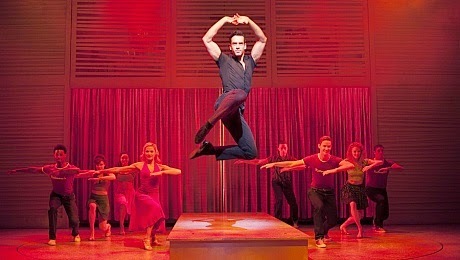 Dirty Dancing, the stage musical based on the iconic 1987 film, mamboed back into Glasgow last night bringing with it the summer of 1963 and a thousand teenage dreams. The King's Theatre was packed to the rafters with an expectant audience and there was palpable excitement as the opening beats of Be my baby thrummed through the theatre. An unmistakable rumble of appreciation greeted the words "that was the summer we went to Kellerman's" and the scene was set for a night of pure escapism. Featuring all the iconic moments and from the film and, with a few more shoehorned in to keep the plot moving along, Dirty Dancing does exactly what it says on the tin. It brings Johnny and Baby's unforgettable love story to life with passion, credibility and to the sheer delight of every woman in the audience. This show brings the fun factor in spades with exquisite dance routines and evocative music guaranteed to please even the most discerning fan of the film. Baby's youthful naivety and headstrong nature is beautifully captured in Roseanna Frascona's portrayal and Gareth Bailey's incredible dancing blended with a shy approach creates a sensitive Johnny that the audience immediately falls for. Quite frankly, Bailey must take his life in his hands each night by making his way through the audience for the finale. The reaction from the audience had long since reached a fever pitch of hysteria with one woman in the stalls jumping and waving at Johnny in a manner usually reserved for One Direction. After he safely made it to the stage the line "Nobody puts baby in the corner" got a raucous cheer that wouldn't have been out of place at the rowdiest of rock concerts. I really hope the King's Theatre's roof is well attached because if a Thursday night audience can make that amount of noise there's bound to be structural damage by the weekend! Where Dirty Dancing truly comes into its own is in showcasing the amazing dancing that the film fails to do justice to. This cast work extremely hard throughout and their incredible movement is mesmerising. They bring a playful element to Kellerman's and crank up the heat in the staff quarters with raunchy moves that won't be on Strictly Come Dancing any time soon. The only criticism of the show could be that at times it tries a little too hard to sell itself to an audience that are inevitably already in the palm of its hand. The fidget factor increased ten fold during the scenes that weren't from the film with the audience clearly eager to scamper on to their next Johnny and Baby magic moment. That said, this is a fun night out guaranteed to bring back memories of teenage love and leave the audience dancing in the aisles crying out for one more mambo with Johnny. 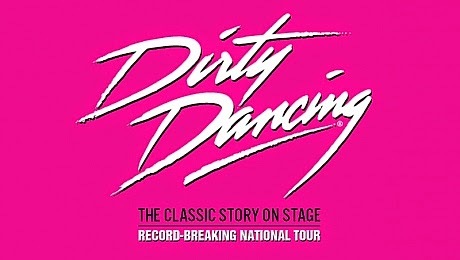 Dirty Dancing is at the King's Theatre until 20th September.